Hey there. 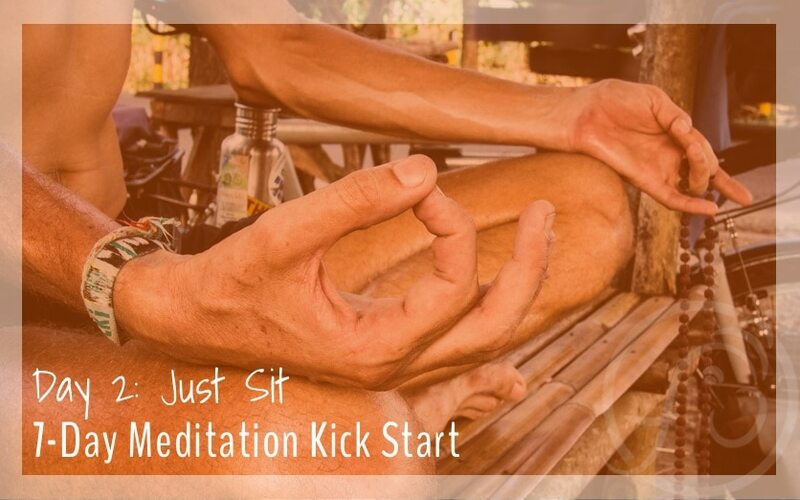 Congrats on making it to day 2 of the 7-Day Meditation Kick Start. If you missed Day 1, we strongly suggest you go back and do Day 1 first. If you found this page by chance, sign up for our free 7-Day Meditation Kick Start to learn how to meditate. Set a timer and sit for five minutes. Watch this short video for your assignment to be done first thing tomorrow morning. Just sit. Don’t wait to meditate. Begin now. Don’t worry that your mind isn’t instantly quiet. That is all part of the process. Find a time in your day that works for you. There is no right or wrong time of day to meditate. There is no wrong way to meditate. Did you try? Then you did it right. P.S. Did you enjoy today’s lesson? If so, please share the kick start with a friend!